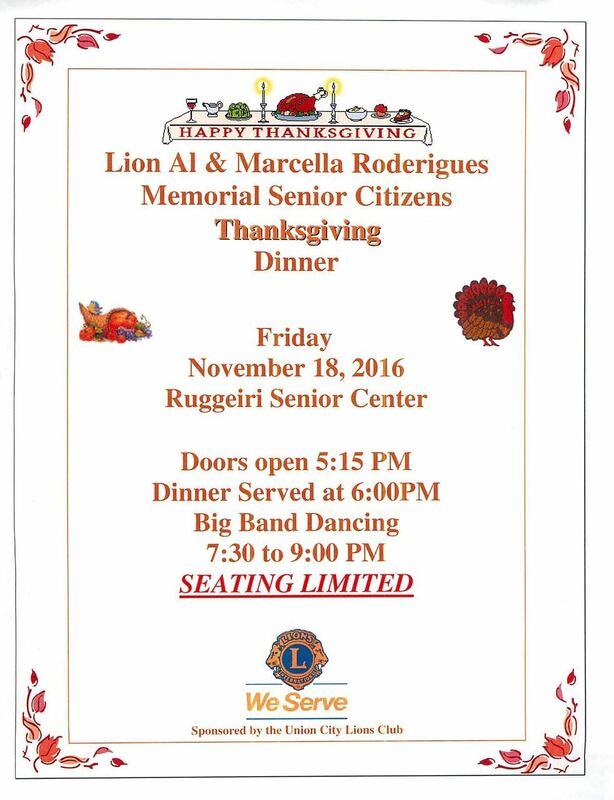 The annual "Al and Marcela Rodrigues Memorial Senior Thanksgiving Dinner" is fast approaching and will be held on FRIDAY, NOVEMBER 18TH at the RUGGIERI SENIOR CENTER on Alvarado Niles Road across from City Hall. AS ALWAYS THIS IS AN ALL HANDS ON DECK EVENT. The event will run from 5 PM to 9 PM. Preparations begin at 2 PM and we need Lions from that point forward.